I was recently presented with a inexpensive DVR that had a short in its power supply. After searching I was able to isolate the issue to the 5v rail, specifically a 6pin IC with the markings DDAAC. 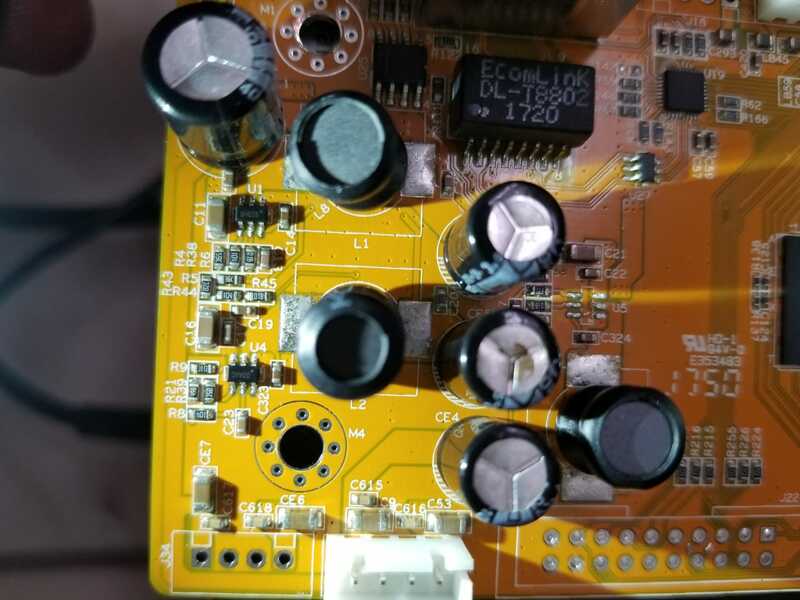 It seems to be some form of power ic or a buck converter or sorts. I have been searching but cant seem to find a way to identify these ICs, could you point me in the right direction please. Attached to this post is an image showing a similar circuit on the board that is unaffected. Re: Help identifying power ic? Either img tags are not working, or vBulletin is not recognizing the imgur page as an image, https://imgur.com/a/2oQ3LXE . I can't see clearly any IC such as berthfield described, but there is an electrolytic cap in the pic that clearly is swollen and vented. Power Supplies should be boring: No loud noises, no bright flashes, and no bad smells. To kill personal responsibility, initiative or success, punish it by taxing it. To encourage irresponsibility, improvidence, dependence and failure, reward it by subsidizing it. Last edited by PeteS in CA; 02-22-2019 at 11:42 AM.. I changed that cap after taking the picture. The IC turned out to be a LDO as suggested but after searching for a few hours I was unable to find any replacements locally. The only markings on it were DDAAC not sure what that was supposed to signify. Edit: Forgot to mention that in the interest of time I removed the offending component and just went with a 7805 mounted to the side for 5v supply. There aren't many SMD suppliers locally and I was not willing to wait. Last edited by berthfield; 02-22-2019 at 10:34 PM..